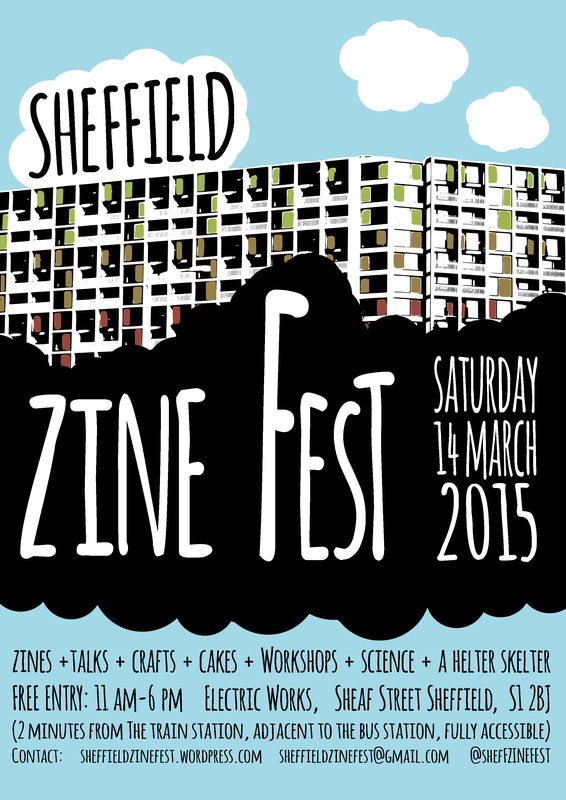 This weekend I’m going up to Yorkshire to run a table and workshop at the Sheffield Zine Fest (Facebook event here) and see friends. I’ll have lots of issues of zines from both myself and Charlotte Richardson Andrews and some other goodies, and I’ll be running a workshop on getting started with zine-making (and my good pal Tukru will be running a hands-on minizine session). The venue is in the centre of Sheffield, right next to the bus and train stations, and is disabled accessible. It also has an excellent slide and carpet that looks like astroturf. If you want to help promote the fair, there’s a whole load of different graphics for you to use here, designed by the lovely Chella, one of the organisers.